As more people search to find spiritual meaning in their lives, the role of the Kundalini Yoga teacher takes on increasing importance. This team of long-time Teacher Trainers will guide you in how to build your grace and character. They will lead you through this program with inspirational and challenging lectures, and kriyas and meditations that will confront your self-imposed limits. You will discover how to live and teach from your highest and purest consciousness. Meherbani Kaur Khalsa is a KRI-certified teacher and a KRI Lead Kundalini Yoga teacher trainer and mentor. She has practiced and taught Kundalini Yoga most of her adult life and teaches from her heart with simplicity and humor. In addition to Kundalini Yoga, she also practices and teaches Yogi Bhajan’s healing art of Sat Nam Rasayan®. She is one of a handful of practitioners worldwide who have been designated to teach this sacred art. Since 1994, she and her husband, Guru Mantra Singh, have opened their home to the community holding daily morning Sadhana, teaching yoga and Sat Nam Rasayan® classes and hosting community events, yoga intensives, gong classes and seminars. Keval Kaur, Professional trainer, is the North Carolina Regional Coordinator for Y.O.G.A. for Youth, and the Director of the Dance Program at Duke University, where she has been on the faculty for 23 years. She has taught yoga on three continents, and developed and currently teaches the course Kundalini Yoga and Sikh Dharma at Duke University. She has served on Level I Teacher Training teams in Detroit, MI, Chapel Hill & Asheville, NC, Nashville, TN, San Diego and Los Angeles, CA, and Accra, Ghana. 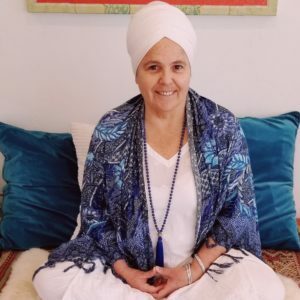 Guru Mantra Singh is a certified Kundalini Yoga Teacher and studied directly with Yogi Bhajan Master of Kundalini Yoga. He received Level III Sat Nam Rasayan® Certification, the highest level in the International School of Sat Nam Rasayan® and is recognized worldwide. 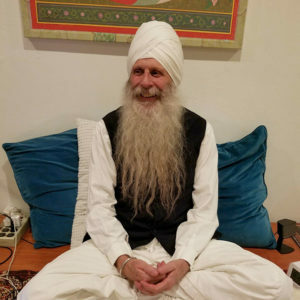 He graduated from the Los Angeles Kundalini Yoga Teacher Program in 1976 and has been teaching for more than 40 years in the US, and internationally. He is a KRI Yoga/Meditation Instructor, Yoga Alliance Member, KYI Certified Teacher and Trainer, Life & Relationship Coach Consultant and Mind Map Instructor, a Gong Master and a Certified Level III Sat Nam Rasayan® Teacher and Healer, the highest level in the International School of Sat Nam Rasayan®.